CBGB Classic Logo Black T-Shirt with "Home of Underground Rock". 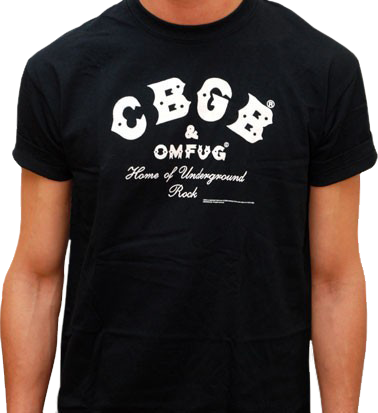 This is the classic black CBGB & OMFUG logo shirt proudly worn by punk fans around the world. 100% cotton.